A “frail lovely lady” collapsed on the phone to police after two men forced their way into her home to steal. The 77-year-old who lived alone and named locally as Maureen Whale died this morning after trying to report the break-in at her home yesterday teatime. Officers and paramedics resuscitated her but she died in hospital today sparking a murder investigation. “And there’s a crack house, you see people in and out all the time – it has got a lot worse round here. “The people that did this were in a gang that rob people all the time. Another said: “They broke into four houses here last night, my mate’s home was burgled at six o’clock in the evening. “Police are too busy trying to catch people on their phones or arguing online. Scotland Yard are not currently linking the two incidents – but stated they are “keeping an open mind in their investigation”. 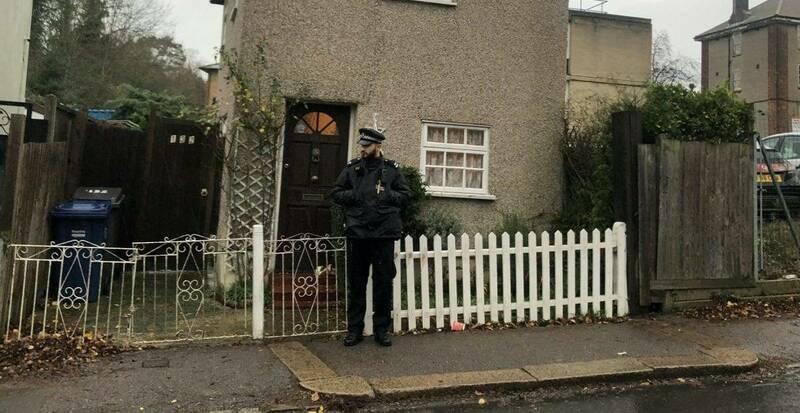 A spokesperson said: “An investigation has been launched in Barnet after an elderly woman died following a burglary. “Police were called at 6pm on Tuesday, December 4 to reports of a burglary at a residential address in Bells Hill, Barnet. “The victim, called police after two suspects had forced entry to the premises and had stolen property. “While on the telephone to the police operator, the woman collapsed. “Police and London Ambulance Service attended – emergency CPR was given by attending officers. “The 77-year-old woman was taken to a north London hospital in a critical condition. “Work is ongoing to establish if they are linked – three of the four properties targeted were empty when the burglaries took place. “Both suspects involved are described as white males aged in their twenties and of thin build – they wore dark woolly hats and dark clothing. “The public will see a significant police presence in the area. “If you live or were passing through Bells Hill flats in Barnet yesterday evening – did you see anything suspicious.